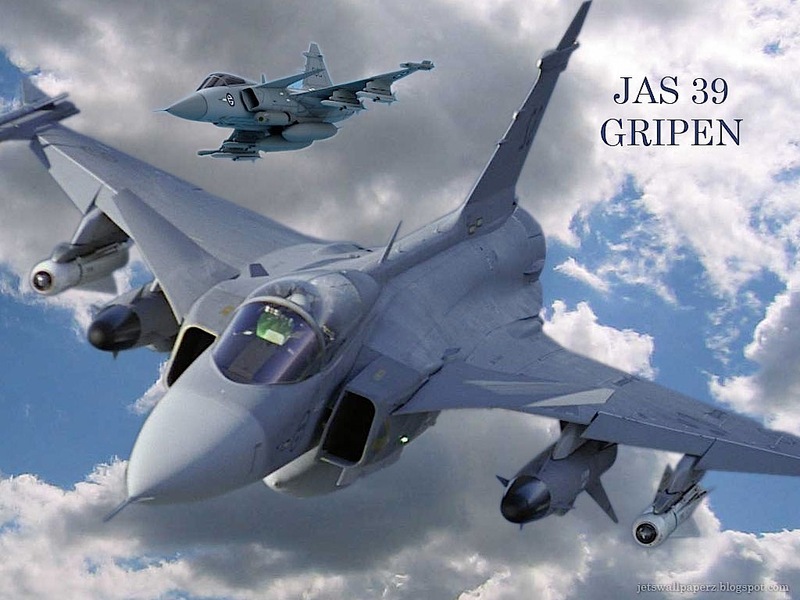 Against the backdrop of the not-yet-concluded Swedish Gripen fighters deal with Brazil, we appeal to the respect for the Latin-American (and International) institution of political asylum, that should be paramount in the dealings with EU-countries. Examining five political scenarios that can break the deadlock in London in the Swedish “case” VS. the WikiLeaks founder. There is in Latin-America a relative militant but with increasing influence in the region named ALBA (integrated among others countries by Venezuela, Ecuador, Cuba, Nicaragua, and Bolivia). The re-election of Correa in the presidential vote in Ecuador reinforced the influence of Ecuador in ALBA but also gave ALBA itself a booster in its influence in the region. On the other hand, one could argue that ALBA is not all Latin America. However, those familiarized with the modern Latin-American developments towards superpowers (i.e. USA) have characterized this stance as an “inverted matryoshka doll” – where the inner structures gradually exercise pressure on outer structures in order to produce changes in accordance with the more militant or radical agenda emerging from the “inner” structures. And then there is UNASUR (the twelve South American countries); Alianza del Pacífico; MERCOSUR, and CELAC (all the countries in the continent, excluding USA and Canada, meaning 33 countries! This right, or praxis, of granting political asylum is a very strong tradition in the Latin American countries, question that has not been fully understood – or not even discussed – at least in Sweden. b) Sooner thereafter a “domino effect” of such blockade will reach Sweden. This, because a common current geopolitical denominator between these two countries, seen from Latin-American perspective, is their collaboration in the unjustified detention of Assange in the Ecuadorian Embassy, blockading the processes of political asylum which in Latin America is instead a sacred institution. WikiLeaks have announced thousand new disclosures (which compromise all the countries, as Julian Assange emphasized in his speed in December at the Ecuadorian Embassy). Depending on the quality and aggravating tenure of those contents wit regard to Sweden, the pressures towards Sweden’s readiness for discussing an ending of the stalemate on the “Assange case” will increase – not the least because not doing so it would be interpreted as if the prolonging of the “legal case” is a further revenge from Sweden motivated by the further WikiLeaks’ political exposures on Sweden. Regretful, and mainly because of the “prestige” issues analysed above, Sweden would be the last scenario where a solution-initiative for the impasse occasioned by Sweden could be authored. For instance, Sweden has apparently not understood the fully extent of their political embarrassing at the election in the United Nations body for Human Rights where Sweden got the lowest number of votes from the international community represented there (referred above in Introduction). Or perhaps the current engagement of Carl Bildt in Latin America is a “damaging control” task in view of such situation. The assessing of the main causes intervening in the current worsening of the Swedish international standing would be complicated. The abandonment of the Neutrality policy can be cited as one of them. But there are more concrete deeds committed by Sweden, which have portrayed the country as frankly alien to the praxis of Human Rights that the United Nations has been pursuing after. To the context above the fact that Sweden has been sanctioned by the United Nations for serious “violation on the United Nations Absolute Ban On Torture” – a Convention that Sweden had signed. As the secret collaboration by Sweden with the CIA perplexed the international community, the fact that torture was implicated (it referred to the “Egyptians case” of renditions to CIA by the Swedish authorities under the time Thomas Bodström was Justice Minister) made the things worst. It s NOT a thing that one could have expected from Sweden, it was commented in Latin America. It has to be observed that many among the current leadership of these countries have been victims or witness of such atrocities committed by the military dictatorships supported from the mid 70’s through the 80’s by the US. To make things worst for Sweden in Latin America, the revelations on the (passive or active) involvement of the Ministry of Foreign Affairs of Sweden in the rendition of further Swedish nationals to the US – that in this particular case had been cleared of criminal suspicions by Swedish prosecutor investigations – have increased the reluctance of considering Sweden as having an independent, sovereign stand in the issues of extradition. And here we get one core issue on the dispute around the “Assange case”, as the political asylum was granted by Ecuador precisely in considering the risk fro extradition to the US performed by Sweden. The facts reviewed here, together with the peculiar treatment by Sweden of the so-called Assange case – which at times violates its own legal praxis – has resulted in a direct deterioration of the sympathies that the “Olof Palme country” previously enjoyed among the Latin-American people. Those sentiments will surely play a role in an eventual economic boycott of Sweden – which is the natural outcome in a domino effect in the event that an Anglo-Ecuadorian political confrontation would arise, because of the asylum-issue deadlock. As Sweden does not seem being ready for applying the Roman principle ”pactum abrogare eodem modo fabricati”, dropping the ”legal case” against the WikiLeaks founder is not exactly in sight. Nevertheless, a call for a boycott of the industrial products of Sweden is not an unrealistic scenario in the future, if attending to the increasing awareness among the Latin-American grassroots regarding the actual geopolitical role of Sweden (I mean the Swedish government). The management of the case Assange is only one demonstration of the submissiveness of the Swedish government towards the superpower on the other hand colliding with many Latin-American countries. Latin-American grassroots have demonstrated in the past they are able to put popular pressure ion their governments regarding ideological issues. In this case is also a matter of self-respect. The right of Latin-American country to grant political asylum to an individual shall be respected by EU-countries. No respect, no deal. Democratic political parties, particularly those algning themselves in the Center-left during election campaigns, should act towards the left-oriented governments in ALBA; and when, according the “inverted matryoshka-doll” effect, the message will be delivered from other Ecuadorian-sympathetic governments in ALBA to the rest of the country-organizations in the Region; Then, perhaps the “miracle” will occur. For it is nearly so, that only a “miracle” can break the current Swedish submissiveness towards the U.S. and the Global corporate enterprise. A call for economic and commercial boycott of Swedish goods and services, meaning an effective threat to the capitalist profits and fiscal revenues in Sweden, would be perhaps the only measure that would cause Sweden to review their so called “prestige-bound” stance on the case Assange. Personally, and as a Swede, I do not think it is a matter of “prestige”. That would be a too elegant denomination to mean simple geopolitical idiocy. For the submissiveness of the Swedish government towards US does not see to Swedish interests. It only serve the interests of the US. ← What Is Behind The Bogus Case of Sweden VS. Mr Julian Assange?